The current President of the United States, his government and cabinet secretaries seem totally unaware of and unconcerned about the importance of history, precedent, diplomacy and war. Precedent makes law. And precedent and how to respond in both diplomatic settings and in a crisis tells both friends and enemies what to expect from great powers. The precedent that the United States will respond almost immediately and with force at signs of piracy and other troubles on the high seas dates almost to the start of the Republic. In 1804, at the very start of the U.S. Navy, war ensued with pirates off the coast of North Africa because the price of ransom paid to pirates just kept going up. But this year we have seen the Chinese disrupt at-sea operations of a U.S. naval vessel, without much U.S. response, and now African pirates hold for ransom a U.S. merchant captain. I guess Jimmy Carter showed the world that the U.S. would be slow to respond in hostage situations. But Ronald Reagan and others made sure the message was sent again that toying with the American people even in far flung assignments would not be tolerated and could result in war or lesser uses of more than strong language. Nations usually change their diplomatic course gradually, like the gigantic ships of state that they are. Putting the rudder over quickly toward appeasement or force has its dangers. It would have seemed an open and shut case a few weeks ago, for example, that Presidents of the United States do not bow to anyone. Now that they do: what does that mean? After two hundred years, outsiders have to see America in a new light, which is apparently what Mr. Obama wants. But who has guessed at the consequences? Who in team Obama is telling the president how China, Russia and the others see this great breakthrough and what it might mean? My guess would be nobody is discussing this At the White House (who denied that a bow ocurred) or at State. Nobody who can make an educated guess at how others will see the new U.S. and its conduct. I base this observation on Hillary Clinton presenting her counterpart in Russia with a giant red button bearing a misspelled word and with an unclear meaning. In most Russian experience, I believe, giant red buttons launch nuclear weapons — not improved or “reset” relations — even if you could spell the word correctly. My real point here is this: when a few thugs at sea can hold an entire sea faring nation like the United States hostage for ransom something is certainly amiss — and a dangerous precedent could be in the making. The precedent now being set by President Obama and his Administration is that perhaps America will cower to brigands of any and all sorts. After all, precendent sets law so precedent bears watching. This line of thinking would also include North Korea’s recent missile launch and the inability of the United States to make the United Nations act in a sure and responsible way in condemning that nation. Japan has already withdrawn its demand that harsh actions be taken in response to the North Korean missile flight. Japan’s voice is unheard without U.S. backing. What precendent did America’s top ally in the Pacific just learn? The message now sent by Mr. Obama around the globe is that he will bow to just about anybody at any time and on any terms. This does not bode well for America’s future or the security of the United States and allies like Israel. Each American has to judge for him or her self if this is good or bad. But my experience tells me that in places like Moscow, Beijing and Tehran; leaders are seeing a new precedent set by the United States. And that can mean mischief. Was it Joe Biden, Barack Obama or Hillary Clinton that thought it was a good idea to encourage Russia to just hit the “reset” button? Well, whoever…..
Barack Obama’s “Great Bow to Saudi” and the red “reset” button given to Russia are more than faux pas and less than the end of the world. But they do certainly indicate a certain lack of professionalism and due care for diplomacy. The almost unnoticed fact that Austrians do do speak Austrian and other errors great and small means to me that we are in for more errors unless the Obama Administration starts to do some homework and learns from the errors committed thus far…. The Obama Administration continues a trend tonight: unable to fill top government jobs with qualified and clean candidates. Today, Sanjay Gupta took his name out of consideration as the only nominee as Sergeon General. Gupta said he wanted to dedicate more time to his work at CNN but friends say he can’s give up his fat CNN pay check for the meager government pay. At Treasury, Secretary Timothy “Can’t Work Turbotax” Geithner’s hand-picked deputy pulled her name out of consideration and will join Bill Richardson, Tom Daschle, Gupta and others in non-government work…. Good thing this is the administration of “hope.” We hope it works…..
Treasury Secretary Timothy Geithner’s top pick to be his deputy withdrew from consideration Thursday, a setback for the agency as it confronts the worst financial crisis in decades. Annette Nazareth, a former senior staffer and commissioner with the Securities and Exchange Commission, withdrew after several interviews and vetting of her financial history, a person familiar with Nazareth’s decision said. But this person, who spoke on condition of anonymity because Geithner never publicly named Nazareth as his choice, said no problems with her taxes or other issues arose. Nazareth, a partner at the law firm Davis Polk & Wardwell, could not be reached for comment. Treasury and White House officials would not comment on the matter. Nazareth’s withdrawal from consideration comes as critics say Geithner’s lacks the senior staff he needs to make critical decisions about the financial crisis. Not one of his top 17 deputies has been named, let alone confirmed. Without senior leadership, lower-level Treasury employees can’t make decisions or represent the government in crucial conversations with banks and others. At a Senate hearing Thursday about failed insurance giant American International Group Inc. — which has received four separate bailouts totaling more than $170 billion — Sen. Chris Dodd said he had asked Treasury for someone to appear, but that no one was available. $anjay Gupta Out of the Running for Surgeon General — Cha-Ching! CNN Where are you? 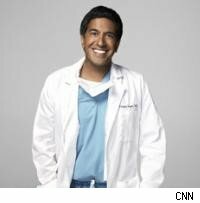 Fox News is reporting that Sanjay Gupta may have taken his own name out of the mix for Surgeon General….He apparently does do the math, unlike Timothy Geithner, and has decided he makes too much money at CNN to help out his president and his country…….What a great American! Cha-Ching! Despite the initial fanfare, Sanjay Gupta looks to be out of the running for the post of surgeon general, according to the director of the group representing Gupta’s would-be health team. Jerry Farrell, who heads the Commissioned Officers Association, told FOXNews.com Thursday that CNN’s chief medical correspondent is known to have taken himself out of consideration. “The general consensus from everybody is Gupta is no longer in contention … it’s more he’s withdrawing himself,” Farrell said, citing conversations he’s had with “well-placed” individuals. Farrell’s group represents the Commissioned Corps of the U.S. Public Health Service, which the surgeon general oversees. A spokeswoman for CNN had no comment on Gupta’s standing, and Farrell said he has not spoken with Gupta personally. But considering two months have passed since CNN acknowledged Gupta was being vetted for the post, information about the progress of the surgeon general nomination is curiously scarce in Washington. “No one has yet been nominated or confirmed for the surgeon general position, and we’ve heard nothing,” said Jennifer Buschick, a spokeswoman with the Office of the Surgeon General. “We never [announced] a candidate for the post, and I don’t have any updates at this time,” a White House aide wrote in an e-mail to FOXNews.com. Farrell said he’s been told Gupta had misgivings about both the pay-cut he would have to take and the fact that he might be reporting to two high-level bosses. Gupta’s name surfaced after President Obama had tapped former Sen. Tom Daschle to be health secretary and the head of the new White House Office of Health Reform. Farrell said Gupta was apparently offered a dual position in the White House health reform office as well — and would have been serving under Daschle in both cases. But after Daschle withdrew his name because of tax problems, Obama subsequently nominated separate candidates for health secretary and health reform office director — meaning Gupta could have had two different bosses with different sets of priorities. Then there was the pay cut. As surgeon general, Gupta would make about $153,000, according to public information on federal salaries. It’s unclear what Gupta’s contracts are currently worth, but the surgeon general salary would be considerably less. You are currently browsing the archives for the Obama Administration category.